A career with LHC Group means you will be empowered to provide the kind of service you can be proud of. Our emphasis on person-centered care affords the time and opportunity to make a real difference in people’s lives every day. Join the team that is setting the standard for in-home healthcare and other post-acute care services. WARNING TO JOB SEEKERS: LHC Group has been made aware of apparent fraudulent activity pertaining to the company’s talent recruitment efforts. 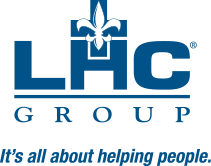 LHC group will communicate with our applicants via a confirmed firstname.lastname@lhcgroup.com and will not utilize Google Hangouts or other social media sites to conduct interviews. Should you have questions regarding the authenticity of LHC Group open positions, please verify all open positions by using our official career site HERE. Every day, all across the country, our LHC Group family is helping people in our care live fuller, healthier lives. We do this because helping people is, quite simply, the reason we exist. It’s our purpose. At LHC Group, it’s all about helping people. Our investment in employee benefits is an investment in our shared future. When you join LHC Group, you become part of a family – a family of committed care providers in communities across the nation. We are not like many top-down organizations. We are focused on doing everything we can to support our employees at the local level, and help them provide the best possible care and outcomes for our patients. Choosing a career in healthcare is a smart choice for many reasons – strong industry growth and job security, personal and professional happiness, and the knowledge that you are part of something that makes a big difference in the lives of so many people. Healthcare jobs can be challenging – people’s lives and well-being are at stake. This often means on-the-job pressure, unpredictable schedules, dealing with difficult circumstances, and the need to adapt quickly – with little warning – to a changing landscape. The overwhelming number of those who work in the healthcare will tell you – the rewards far outweigh the challenges. It is a privilege and an honor to serve individuals, families, and communities around the nation and be valued and appreciated for your contributions. Healthcare professionals serve people at their time of greatest need. We consider this a calling of the highest order – not just a job. We are a family of professional clinicians and support staff working to improve health and happiness in communities all across the nation. At LHC Group, our employees ARE the company. Whether you’re a clinical or business professional, we offer you the opportunity to be part of the future of health care. That means knowing the people we serve, understanding their needs, and tailoring healthcare to ensure the best journey possible. Join LHC Group to get the most out of your career, further develop your skills and knowledge, and see just how far your talents and abilities can take you. We empower our clinicians and staff to build the kind of relationships in our communities that ensure quality, consistency, and stability in all we do. Join the team that is setting the standard for post-acute care.